Wild Mountain Runner Club: Thursday Salsa Nights! 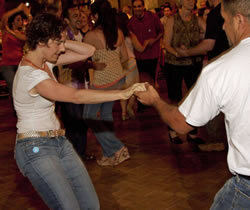 Sizzling Summer Nights starting this Thursday @ the Gene Autry Museum Griffith Park. Be there!!!! click on photo for details. see you there!